Summer is a great time to get outside and enjoy the outdoors, but there are times when the heat forces us to stay inside. 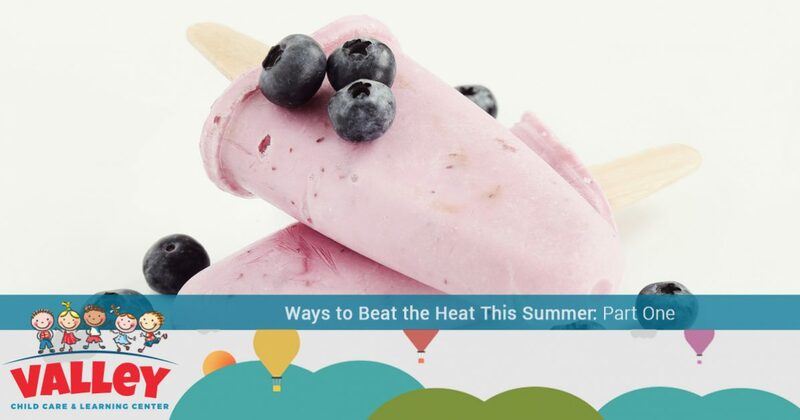 If you have a little one, the last thing you want to do is be cooped up indoors, so in part one of this multi-part series, we will discuss a few exciting ways that you can beat the heat during the hottest days of summer. 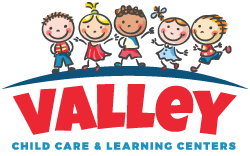 At Valley Child Care and Learning Centers, we are proud to offer early childhood education, daycare, and so much more! We strive to provide your little one with all the experiences they need to grow and learn with each passing day. Proper care and safety are of the utmost importance in our programs, so you can rest assured knowing that your child is in good hands. To learn more about the services we offer, give us a call or visit one of our 10 locations in the Phoenix area today! When you have little ones, snack time is a must. However, it can be difficult to find healthy snacks that your children will actually enjoy eating, especially when it’s hot outside. With that in mind, one way that you can beat the heat and make a healthy snack is to make your own popsicles! Most popsicles are made with a lot of sugar, but if you make your own, you will be able to control the ingredients you use. One delicious option is to buy popsicle molds (or just use paper cups) and fill them with your kids’ favorite flavor of yogurt. Yogurt contains a lot of protein that will help keep your little ones’ tummies satisfied as they play, plus there are a variety of different flavors and you can even add fruit! Let the popsicles freeze overnight and enjoy them in the sun the next day. Nothing is more entertaining on a hot summer day than splashing around on a slip n’ slide. The great thing about a slip n’ slide is that you can go to the store and purchase a name-brand slide, or you have the option of creating one yourself. Slip n’ slides are perfect for staying cool during the hottest part of the day, using up your child’s endless supply of energy and having a great time. All you need is the slide, a hose or another source of water, and enough space to run and play. If you don’t have enough room for a slip n’ slide, or you don’t have easy access to a hose, there are still many ways that you can enjoy the water on a hot summer day. Many cities have splash pads that are specifically designed for young children. In a previous blog, we gave you a guide to the best splash pads in Phoenix, so if you have some time or you notice that your little ones are getting bored because it’s too hot outside, load them up in the car and take them to a splash pad! These are just a few suggestions on how to beat the heat during the summer. Keep an eye out for part two of our blog series where we will give you even more suggestions for how you and your kids can stay cool. If you’re having trouble finding ways to keep your children entertained and engaged during the summer months, the professionals at Valley Child Care and Learning Centers is here to help. In addition to offering early childhood education classes during the school year, we also offer daycare classes to help your child continue learning all year long. Browse our website to learn more and give us a call today!